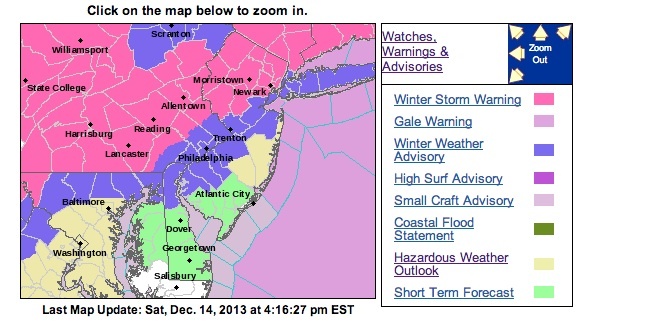 Map with weather updates, courtesy of the National Weather Service. SUSSEX COUNTY – The winter storm that is passing through the Northwest New Jersey area, tapered off slightly this afternoon, and is picking up again, with the Winter Storm Warning remaining in effect until 5 a.m. Sunday morning, Dec., 15, per the National Weather Service. This type of a warning denotes significant snowfall, and the possibility of sleet and ice. “This will make travel very hazardous or impossible,” the warning stated. Accumulations in the area are still expected to reach between five and nine inches, with the snow consistency dry and fluffy. A quarter of an inch of glaze is expected to top the snow base, into the overnight hours. The storm is expected to pick up in intensity with snowfall of one to two inches an hour to fall, between the hours of 5 p.m. and 10 p.m., before the system changes to sleet or freezing rain. In the early morning hours of Dec. 15, between 3 a.m. and 6 p.m., the freezing precipitation is expected to cease. Winds are anticipated to take on a speed of five to 15 miles per hour, and due to the volume of snow and frozen precipitation, travel will be considered hazardous, with surfaces considered very slippery. “Much slower than usual travel will be needed, and if you can avoid traveling this evening…please do,” was the message posted on Weather Underground. The National Weather Service predicts approximately a total snow accumulation of two to four inches by the end of this afternoon, with three to five inches over the evening hours. Snow showers and flurries, possibly mixing with rain, have been predicted for tomorrow afternoon, bringing about another half an inch, before it tapers off. Temperatures tomorrow will be at a high of 36. The National Weather Service is also calling for a chance of snow on Monday and Tuesday. Take note of some local messages regarding the weather. In Andover Township, a message on the police department’s Facebook Page indicates no parking is permitted on streets when they are snow covered, for eight hours. Violators may be towed, including from town-owned parking lots. 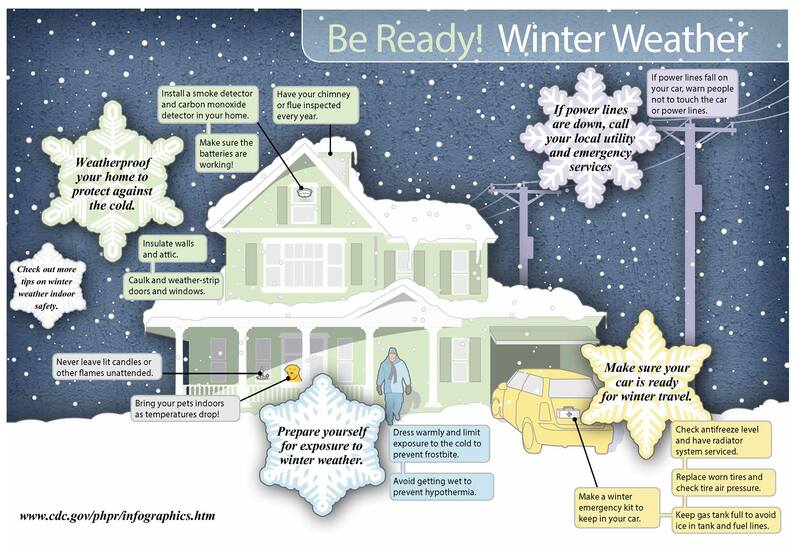 Newton Police Department has shared on its Facebook Page, a winter weather tips diagram, advising residents what preventative measures they should take for their homes and themselves. Some are immediate, such as dressing warmly, limiting exposure, and staying dry, to prevent frostbite and hypothermia, as well as keeping pets indoors as the temperatures fall. Others are safety, such as if power lines are down – do not touch them period, or touch a car if one has fallen on it. If lines are down, call the local utility and emergency services. Other tips include maintenance tips, and are featured in the diagram in this article. Hopatcong Police Department posted a photo earlier in the day on Facebook, which showed the road surfaces, and Hopatcong Police Lieutenant Thomas Kmetz indicated that his anti-lock braking system activated in his patrol vehicle when he stopped to take the photo, and his patrol truck slid. “Please do not go out if you really really do not need to,” Kmetz warned. The County of Sussex posted on its Sussex County Government Facebook Page, photos of the county snowplows gearing up for the storm. We have included the video from the county of these snowplows as they were readied. The Morris County Office of Emergency Management, has been actively utilizing social media to keep residents informed of happenings during the storm. Click here for the agency’s Facebook Page. 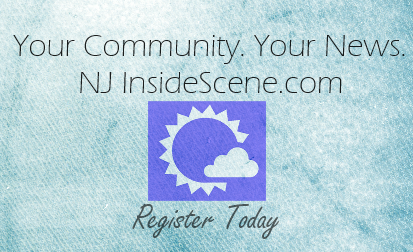 Stay on the “inside scene” with NJInsideScene, and please like our Facebook Page, where we also post updates. Winter Weather Tips, shared on the Newton Police Department Facebook Page.